Here is a handmade card in a winter inchie style theme. 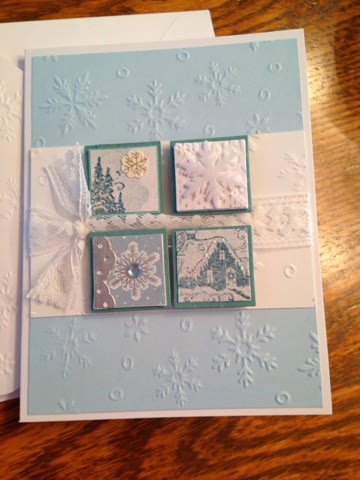 I embossed the cardstock using a Darice snowflake background and added lace to the card front. Lots of layering and Stickles and sparkle spray were used to create this thank you note for a special friend.